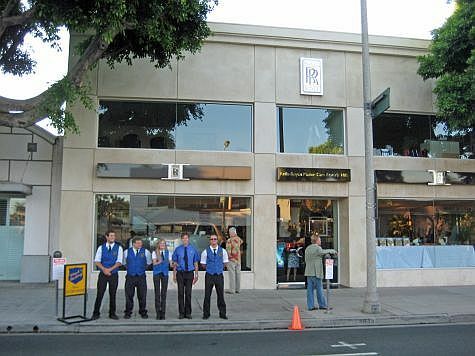 On August 5, 2009 Chuck's Parking Service provided valet parking for the release party of the 2010 Rolls Royce Phantom. Chuck's Parking coordinated the valet parking for 150 of Rolls Royce's top clients. This included handling such vehicles as Rolls Royces, Bentleys, Ferraris, Lamborghinis and many more exotic cars. All of our attendants must be trained and familiarized with such high end vehicles to be hired to work at such an exclusive dealership.